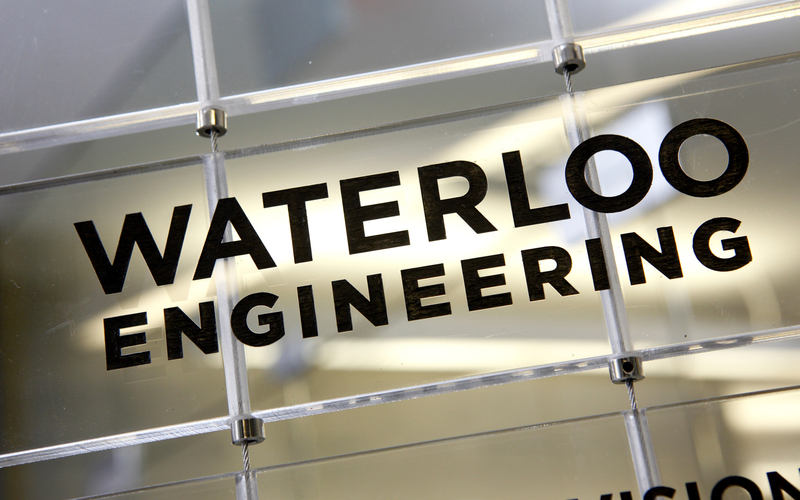 Aesthetec Studio was commissioned to design and build a very unique donor recognition structure for University of Waterloo’s Engineering Department’s “Vision 2010” fundraising campaign. 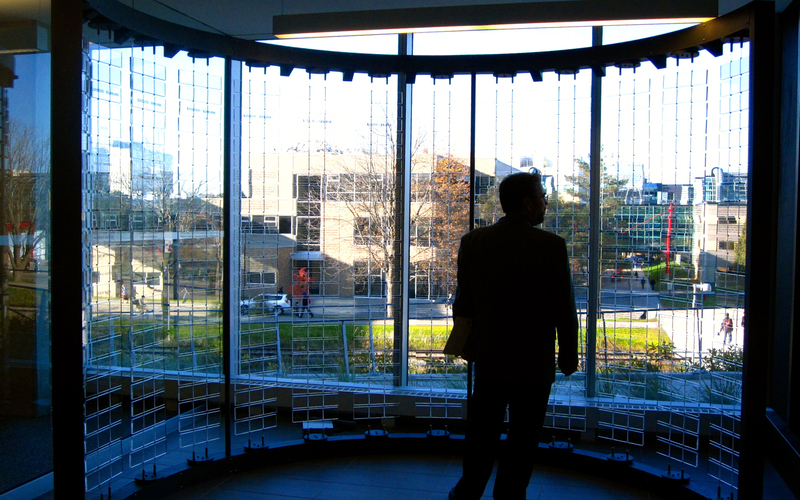 Housed in the brand-new, state-of-the-art facility Engineering 5, home to Waterloo’s Department of Electrical and Computer Engineering, Mechanical and Mechatronics Engineering, and Systems Design Engineering. 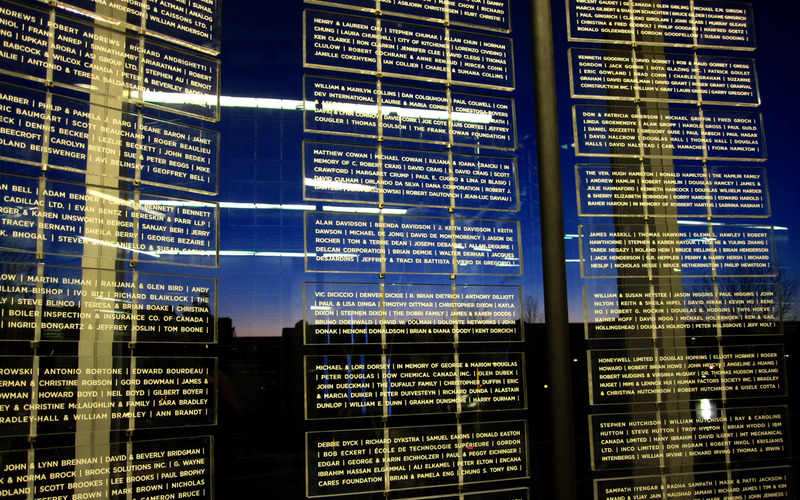 The semi-circle all-aluminum frame holds 14 columns of clear acrylic name plates. 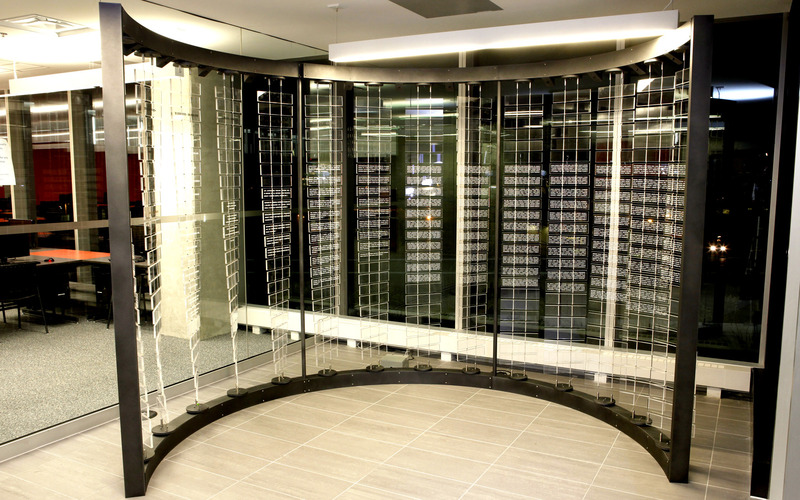 Each column is controlled by robotic servo motors which are attached on both ends. This allows the columns to rotate according to programmed animations. The top rail of the frame is also fitted with 11 sonar sensors for presence detection. 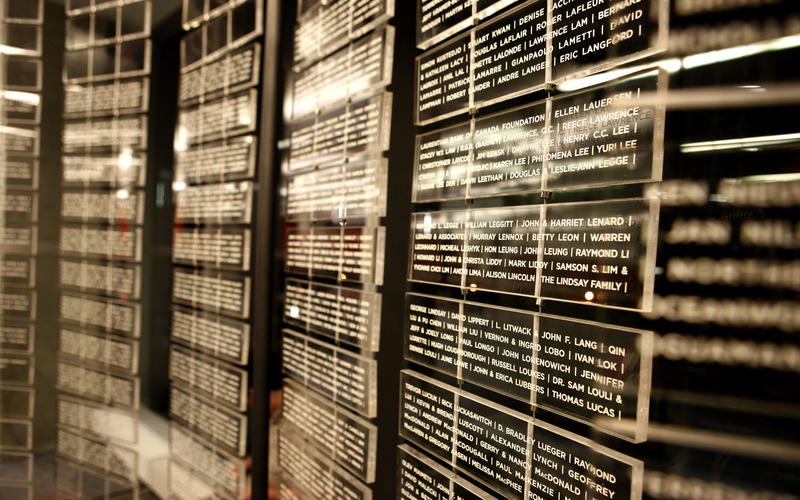 As the viewer stands in front of the columns to read the names of the donors, the columns respond by turning towards the viewer. When no one is around, the columns turn and twist in pattern, as if they have a life of their own.